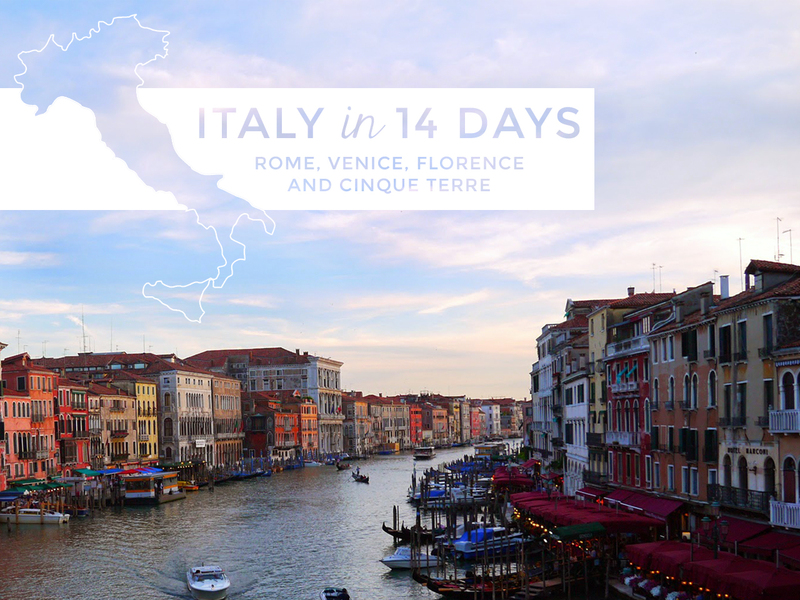 My 14-Day Italy Itinerary: Rome, Florence, Cinque Terre + More! I got a few requests to post my itinerary for my Italy trip, so here it is! 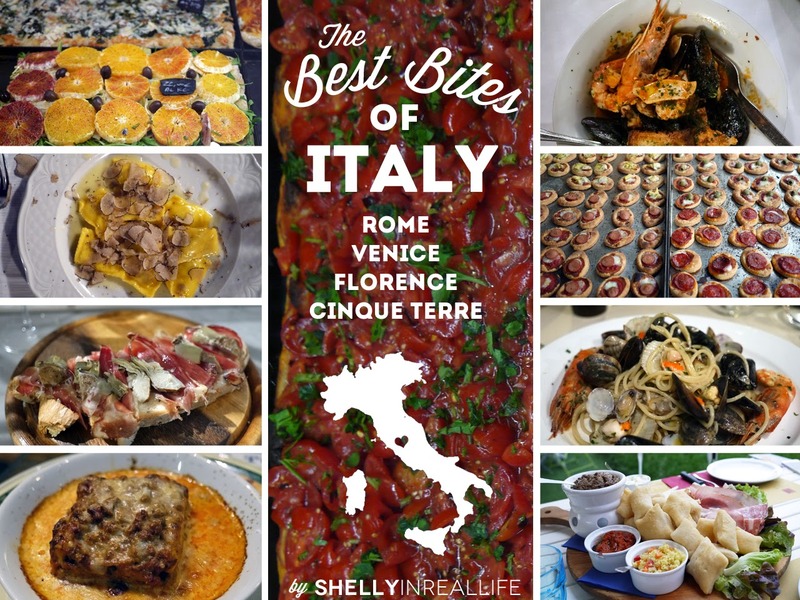 When I was planning my trip to Italy, I quickly learned that two weeks was just not enough to visit all the amazing destinations in Italy. I could spend forever in that country! This was my first time in Italy so I focused on visiting the most popular cities: Rome, Venice and Florence. 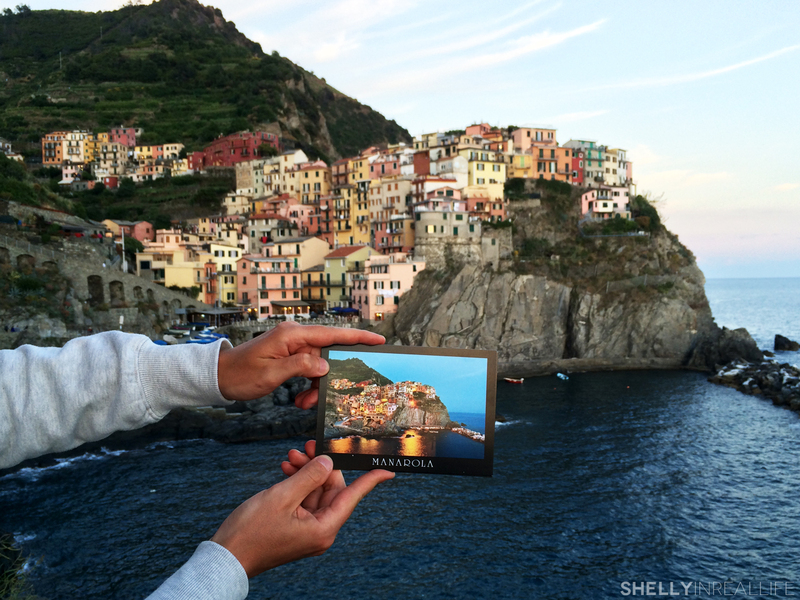 Another must for me was Cinque Terre since I love how colorful and cheery the cityscape looked in contrast to the bright blue ocean. If you want to do a true Italy-only trip, it's super easy to take the train to Milan instead of to Nice from Cinque Terre and fly back home to the US from there. For me, a Europe trip isn't complete without a quick stopover to Paris since one of my best friends now lives there, so we went over to Nice so I could fly to Paris cheaply. Flying back home to the US from Paris worked out perfectly with how I needed to book my flights for under $225 (with points!). 2 Rome 9AM - City Bike Tour with Top Bike Rental - Recommend!! 6 Venice Wake up and explore city (St. Mark's Sq) before cruise ships Dock at 9AM! Dinner at Billy Trattoria & watch sunset from Manarola - Recommend! Lunch at Rotisserie - Recommend! 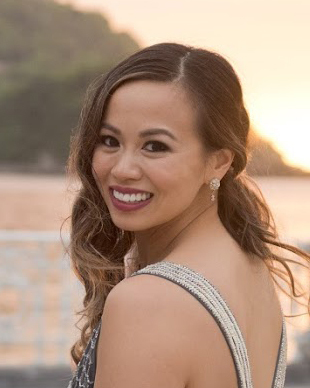 Comment below if you have any questions about my itinerary. I'd be more than happy to help and talk Italy with you!